A hike to the the Gamseckfall takes about 1-1,5 hours and leads to an altitude of 1400 meters (from 1000 meters) to the Berndlalm. For the real hikers, they can go on for another 2-2,5 hours to the Sulzsee on an altitude of 2204 meters and a beautiful view on one the highest mountains of Austria the Grossvenediger. From the Berndlalm you to walk to the rive to have a good view on the Gamseckfall which has a height of 80 meters. I am not sure if the height is accurate because I can’t find many reliable pictures. Best time to visit the Gamseckfall is early in the afternoon. When you take pictures you will photograph towards the southeast. Best season to visit the Gamseckfall is the early summer, maybe late spring when snow from the mountains will melt quickly and temperatures will rise. 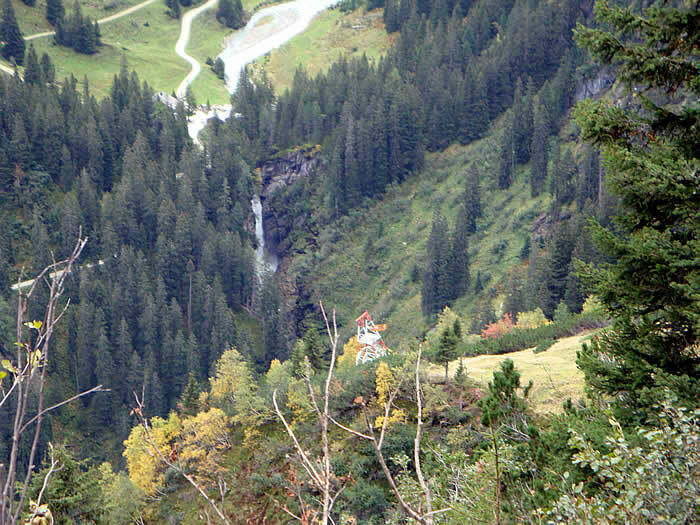 Nice to mention is that at the other side of the mountain the most powerful waterfall of Austria, the Krimmler wasserfalle is falling down. Nearby there are several other nice waterfalls that can be visited. Just in front of the Gamseckfall the huge Seebachfall drops down with a total height of 480 meters, one of the highest waterfalls in Austria.Very impressive to see. A little bit deeper in the valley the Foissbachfall can be visited and in the valley next to the Obersulzbachtal there is the amazing Untersulzbachfall (also called Sulzbachfall) with a single drop of 110 meters. 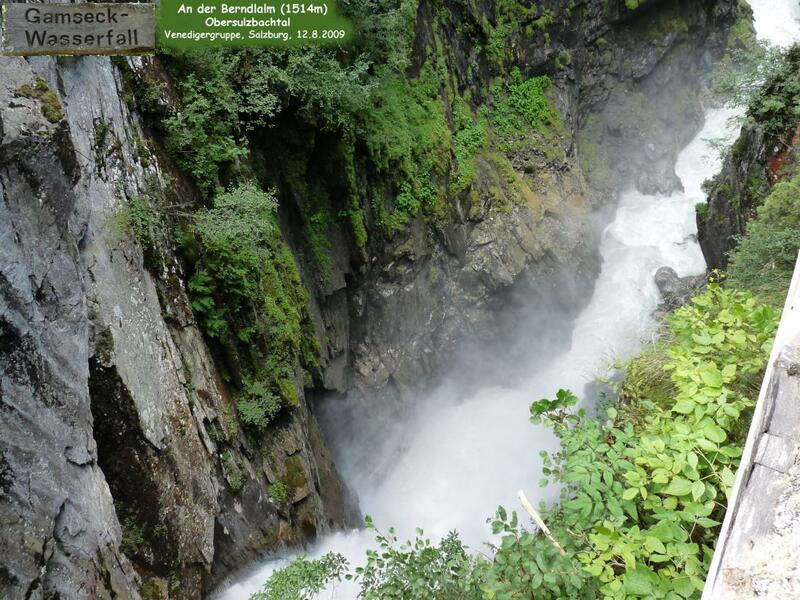 Last but not least you have to visit the earlier mentioned Krimmler wasserfalle, the most powerful waterfall in Austria and one of the mightiest waterfalls in Europe. It is really powerful one and very easy accessible form the road, howeve you need to hike almost 2 hours by it from Rosental.